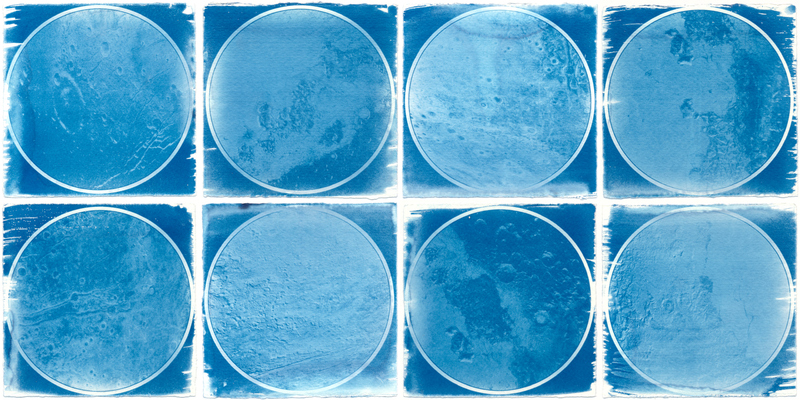 Cyanotype print from digital negative. Cut outs of an image captured by the New Horizons probe in 2015, each disc representing 160,000 sq km of Pluto. The work attempts to evoke the view of the Moon an observer gets looking through a telescope eyepiece.